We are the Manufacturers of Dehydrated Drumstick Powder. Its better not transplanted, but instead germinated where they will be grown (either in the ground or a pot) so there s little chance of them being affected by the change in watering and warmth etc so they keep growing fast and don't got to seed - which often happens when you transplant them - with the shock. 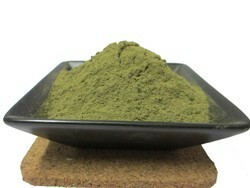 We are one of the well-distinguished companies in the market that are into offering Drumstick Leaf Powder.